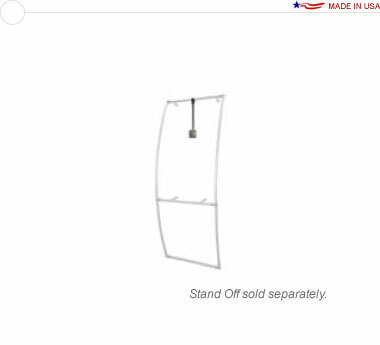 An 18″ long monitor attachment piece for a 36″ stand off. VESA 75×75 or 100×100 compatible. Note: The monitor cannot exceed 29.5″ wide. Stabilizing feet are required.